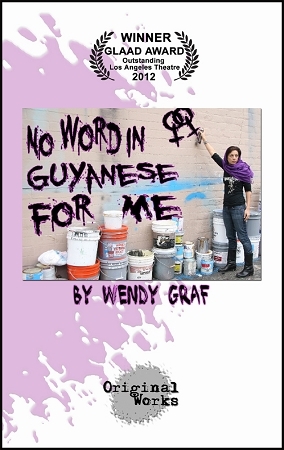 Synopsis: “No Word in Guyanese for Me” tells the journey of Hanna, who is made to choose between her identity and the support and love of her family and her precious faith. From her childhood in Guyana to her adolescence in pre and post 9/11 New York City, from a disastrous arranged marriage to her sexual awakening and discovery that there can be someone for whom she is enough, Hanna struggles to come to terms with her sexual identity, her devotion to her faith, and the right to be accepted for who she is while adhering to her family and her faith. Her faith and family test her, and finally Hanna must give them the choice: accept who she is-a gay Muslim-or lose her forever. Poetic and lyrical, the play is a beautiful exploration of religious and sexual identity, clashing cultures, loyalty, hopes and dreams, parental bonds and attendant feelings of safety or threat. It is a plea for understanding and tolerance at a time of fear and religious, moral, and political polarization. But mostly “No Word in Guyanese for Me” is about communication and unconditional love: the difficulties of it, the search for it, and the desperate need to be heard.